Personality disorder can be conceived as the result of a disruption on the development of self. 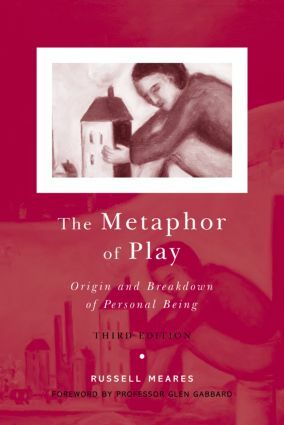 This thoroughly updated edition of The Metaphor of Play examines how those who have suffered such disruption can be treated by understanding their sense of self and the fragility of their sense of existence. Based on the Conversational Model, this book demonstrates that the play of a pre-school child, and a mental activity similar to it in the adult, is necessary to the growth of a healthy self. The three sections of the book - Development, Disruption and Amplification and Integration - introduce such concepts as the exceptional field, paradoxical restoration, reversal, value and fit, and coupling, amplification and representation. This highly readable and lucid presentation of the role of play in the development of self will be of interest not only to therapists but also to those interested in the larger issues of mind and consciousness.